What comes to your mind when you hear April? In Japan, April is closely associated with new beginnings. The school year in Japan begins in April. Fiscal year of the Japanese government as well as the local governments begins in April. For business, especially for big Japanese companies, April is a common starting month of a financial reporting period. At companies and government offices, new graduate employees wearing brand new business suits join their team on April 1st. Even a life of current employees changes in April due to a personnel reshuffle. Some are transferred to a different location or assingned to a different post, which is often effective from April 1st. Because many Japanese people move to different locations before April 1st or early April, due to a personnel transfer or entrance to a university or collage, it is the busiest time for moving companies. For me, I became a member of the Small and Medium-Sized Enterprises and Start-ups Support Committee formed under the Kanto Branch of Japan Patent Attorneys Association effective from April 1, 2018. What makes April brighter is cherry blossoms. 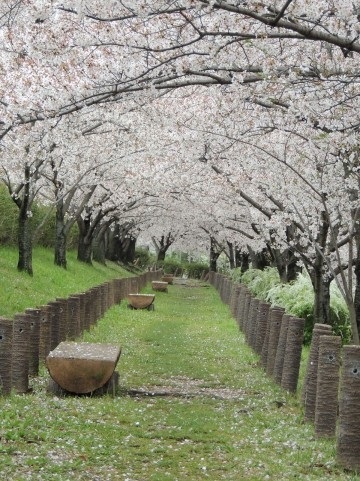 April can not be thought about without an image of cherry blossoms. On a big day of the very beginning of a new life stage, taking a photo of the person in front of or under a cherry tree in full bloom. Such a warm and bright image of something new and cherry blossoms is what many Japanese would have for April. Winter is gone, and it gets warmer day by day in April. Animals and other creatures wake up. Bears come out of hibernation on one warm spring day. A pupa emerges to become a beautiful butterfly. We humans would be the same as other creatures. April is such a good season to start a year in Japan.